Dental implants replace the healthy appearance and use of your lost natural teeth. After an implant treatment in London, it may be easy to think that the implants will just take care of themselves – and will not need any form of maintenance from you. Nothing can be farther from the truth, as the implants will need to be taken care of much in the same manner as your natural teeth to ensure that you will enjoy beautiful smiles for a longer period of time. 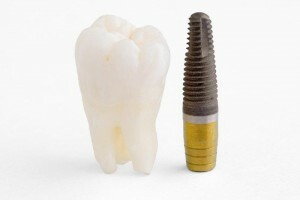 Do you have dental implants? Are you properly taking care of them? Read on for some tips on how you can properly maintain your dental implants to enjoy your smiles for longer. Good oral hygiene is a must for proper dental implant care. This includes regularly brushing your teeth to remove any food that is left inside the mouth after eating, as well as using dental floss to get to the food pieces that are stuck in between teeth, and on the gum line. Properly cleaning your teeth and mouth will help you avoid dental problems such as tooth decay and gum problems, which can harm your implants. Going to your dentist for regular dental checkups will help keep your dental implants in optimum condition. Your dentist will be able to check for early signs of dental problems, and give you the corresponding treatment, to prevent serious complications from developing. Professional dental cleaning will also make sure that your implants will be well-maintained, and in the best health so that you can enjoy your healthy smiles without worrying about dental problems.